Less than an hour if you only want have a quick look around, buy your ticket and hop on the bus. One to two hours if you'd like to enjoy a meal or do some shopping. 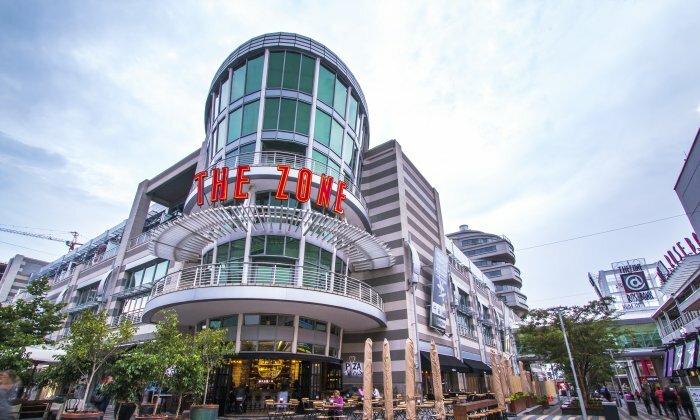 The Zone @ Rosebank is full of shops and activities to suit any budget. How do I get to the City Sightseeing ticket office? Both the Rosebank Mall and The Zone @ Rosebank have ample parking available. The ticket office is situated in The Zone @ Rosebank on the Tyrwhitt Avenue pedestrian zone, between Hamleys and Clicks, opposite Burger King. If you're arriving in Rosebank with the Gautrain, take the north exit. Use the lift and it will take you directly to the pedestrian walk, with KFC on your right and Nando's on your left. From here head straight to the ticket office, which will be on your right. If using the escalator, turn right at the top and head towards the pedestrian walk of The Zone @ Rosebank, between Nando's and KFC, and then straight to the ticket office. How do I get to the City Sightseeing bus stop? From the ticket office, walk in the direction of Cradock Avenue (towards Tashas and RocoMamas) and turn left at FNB into the Cradock Avenue pedestrian zone. Walk past the Rosebank Mall on your right-hand side and the lawn and parking lot on your left. Cross Baker Street and you'll find the bus stop (26°08'52.5"S 28°02'33.5"E) on your right. You’ll soon see why Joburg is not only considered Africa’s economic playground but also one of the most wooded cities in the world. Hop on our Johannesburg Green Tour at our main terminus point in Rosebank and explore the leafy suburbs around Zoo Lake stopping at all top attractions, including Zoo lake, the Johannesburg Zoo and the Military Museum, before reaching Constitution Hill.